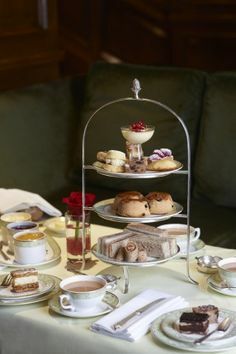 A Valentine’s day tea party can be a great thing to share with close friends, family or a special someone. Whether you want to create a surprise, or plan it together, there are many ways to ‘do’ Valentine’s tea. It doesn’t have to be twee or soppy either – well, unless you want it to be, of course! ‘Romance’ is a word with many different connotations and love takes many forms. 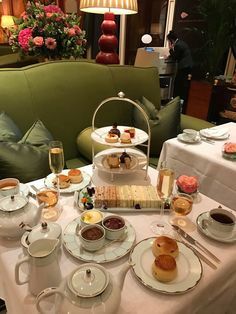 You could have a sophisticated Valentine’s tea with fine foods, flickering candles and Berkline furniture; you can go all out with fluffy cushions and cupcakes And of course, make sure you choose the right tea. If you want to have a Valentine’s tea to charm a new lover or rekindle an old flame, this is the tea party to go for. This one is most certainly a tea-for-two, rather than a friends or family tea. Serve something suave and sophisticated, with plenty of flavor. A classic, single-estate black tea such as a fine Darjeeling or Assam will impress – the tea equivalent of a vintage champagne. Earl Grey could also be a good choice, although be careful, as it’s not to everyone’s taste. Serve it in elegant cups with saucers and a matching teapot. When it comes to food, keep up the sophistication. 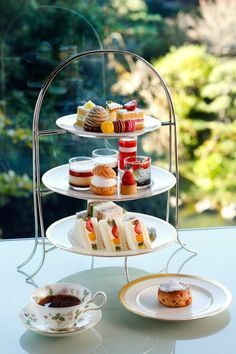 A ‘high tea’ with savory foods as well as sweet is a good idea, as it allows you to linger over your food and give it more of a dinner party vibe. Little canapes are a good way to kick off. Food you can easily share would also go down well: how about a fondue or baked Camembert? Then get into the sweet stuff with some gooey, indulgent cakes. Remember to turn the lights down and light candles around the room (and shut the curtains if it’s light outside!). Keep the colors simple and sensuous, with satin throws and dark table linen. And of course, remember to dress to impress. 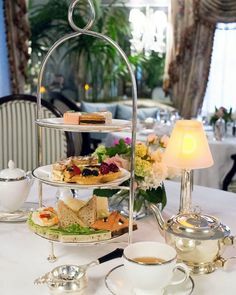 If you want to have a more light-hearted, but still romantic, Valentine’s tea, then you can keep the seduction toned down, but still have plenty of love in the air. This could be a tea for a couple or a small group. A playful type of tea would work well here. The Chinese Rose Pouchong (blend of black tea and rose petals) tastes lovely and looks different. Or try a fruit-flavored black tea: a passion-fruit blend would keep to the theme perfectly. In terms of food, a mixture of finger foods would work well, giving you the chance to linger for a while, chat and reminisce without having to run back-and-forth to the kitchen. 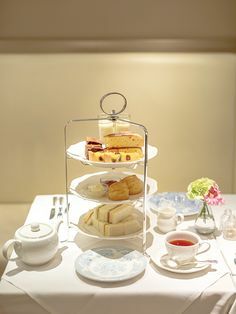 Sandwiches, sausage rolls, slices and cup-cakes are all good, and can be made to individual tastes. The important thing to remember is that the food should reflect you and your guest(s). Do the same when it comes to decor. You could get out some old photographs and put them on the walls, or make pictures that have some personal meaning. You could also invent some party games that reference with things you’ve done in the past or plans you have for the future. It should all be about having fun and enjoying each others’ company. This is the one to go for if you want to have a big , boisterous family do or get a large group of friends together. Serve a sweet, milky masala chai to satisfy both children’s and adults’ tastes, and perhaps a delicate white tea for those with more sophisticated palates. Ideally in a pink teapot. Don’t worry about being cliched, just have fun. With the food, go themed. A shaped template can be used to cut sandwiches and cakes into heart shapes. You can also use icing to decorate cakes along the Valentine’s theme, with lots of pink and hearts. Pretty much anything can be made into a heart with a little imagination. For decor, get heart-shaped balloons, pink table cloths, and lots of fun party goods like streamers, glitter and paper-chains. If you have children coming, get them involved, or ask adults to all bring a contribution to the decoration. Fun party bags or favors along the theme can also be fun to send people home with. This article submitted by Isabella Woods.